A new episode of the Vampire Historian Podcast is now available. Be sure to follow the links on the left to Facebook and Twitter, and please subscribe on iTunes and here at the blog! The first episode of the Vampire Historian Podcast is now available. In this first episode, “Stoker Meets Vlad,” I discuss some of the issues dealing with the common theory that Bram Stoker based his character of Count Dracula on the real life Wallachian Prince Vladislav III, AKA Vlad the Impaler. 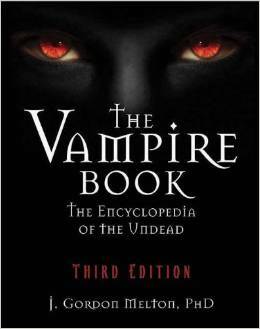 While the facts are now well-known among vampire scholars, I thought that this was an interesting topic for the casual vampire or Dracula fan. In the fall 2014, I presented a lecture titled “The Real Dracula: Separating Vlad the Impaler from the Fictional Count.” This podcast is somewhat based on that lecture. The first book that I mention in this episode is the now-classic In Search of Dracula by Raymond McNally and Radu Florescu. First released in 1972, it was revised in 1994. I also mentioned Jan L. Perkowski’s The Darkling: A Treatise on Slavic Vampirism. Chapter one of this book is titled “Dracula the Vampire.” As I mention in the podcast, I will probably plan a whole episode about Perkowski’s comparison of Dracula to St. Nicholas. The other three books that mentioned are those of Elizabeth Miller. The first, are Stokers actual notes. Prof. Miller, along with Robert Eighteen-Bisang annotated and transcribed these in a facsimile edition: Bram Stoker’s Notes for Dracula: A Facsimile Edition. Miller’s book Dracula: Sense and Nonsense is simply one of the best sources for information on the topic of Dracula’s origins. (Good luck finding a print copy). Her anthology Bram Stoker’s Dracula: A Documentary Journey into Vampire Country and the Dracula Phenomenon is one of the best compendiums that I have found on the subject. A few other sources not mentioned in the episode, but still helpful were Clive Leatherdale’s Dracula: The Novel & The Legend; Christopher Frayling’s Vampyres: Lord Byron to Count Dracula; Gabriel Ronay’s The Truth About Dracula; McNally and Florescu’s Dracula, Prince of Many Faces: His Life and His Times; Leonard Wolf’s Dracula: the Connoisseur’s Guide; Marius-Mircea Crisan’s The Birth of the Dracula Myth: Bram Stoker’s Transylvania; and of course, the novel Dracula itself. Please subscribe on iTunes for future episodes, and feel free to comment here or on any of my other pages online.